Perfect peaks for photography, proposals, or maybe picnics! Whatever your purpose for a perfect peak, these are those. Set out on an adventure during any season and be rewarded with panoramic, breathtaking views. There’s an area in Virginia that sits head-and-shoulders above the rest when it comes to peaks. 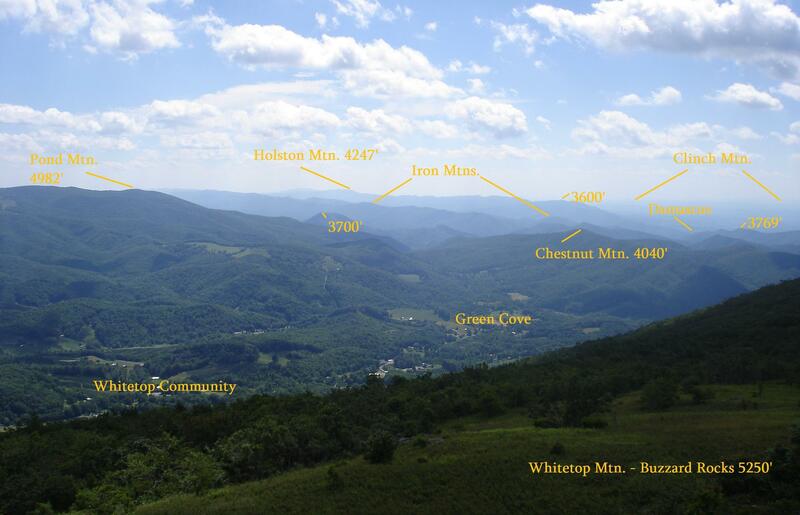 Grayson and Smyth Counties in southwest Virginia have five summits exceeding 5,000 feet. Whitetop is the beginning (or the end) of the Virginia Creeper Trail, a 35-mile rail-to-trail with points in Abingdon and Damascus as well. It’s also part of the Mount Rogers National Recreation Area. Wilburn Ridge is the highest peak on Pine Mountain and is part of the Mount Rogers National Recreation Area. The best access point is through Grayson Highlands State Park at Massie Gap. Click to Enlarge. View from Buzzard Rock, courtesy Eric Thiessen, AbingdonOutdoors.com. Buzzard Rock is a summit of Whitetop Mountain. Indeed, the two can be experienced in the same trip. The distance between them is just shy of seven miles. Haw Orchard Mountain is within Grayson Highlands State Park. Access the trailhead at Massie Gap. See Virginia’s other mountain destinations at Virginia.org/Mountains. It would be interesting to see some of the highest outside of that immediate geographic area. Highland County, for instance; or Nelson County – would love to see the high points along the way from Lee County to Winchester.